America is better then Birtherism! 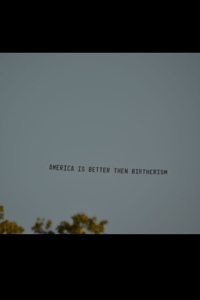 Typo on an airplane banner in Powell, Ohio at a Romney Ryan rally. Typo brought to you by MoveOn.org. No matter how you spell it, America deserves better THAN another four years of O. Photo via CBS, Jan Crawford.